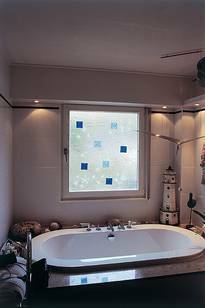 Everyone knows designed windows – whether in churches, private homes or public buildings. 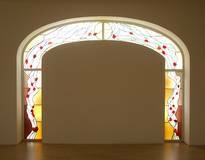 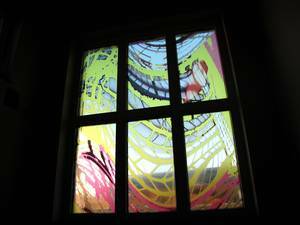 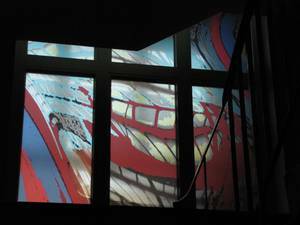 Very early on, window panes evolved from mere closure for a room to works of art. 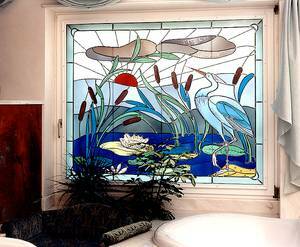 Today, the possibilities for glass design in windows are veritably infinite. 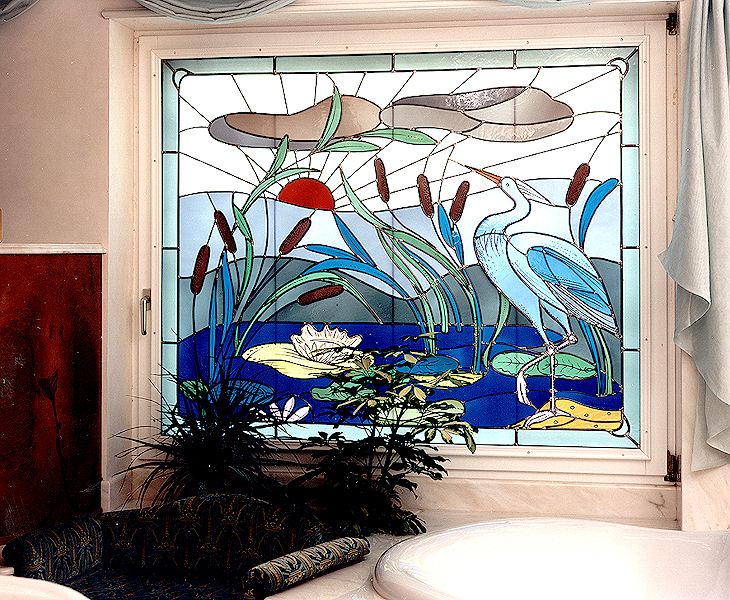 Let yourself be inspired to also design your windows! 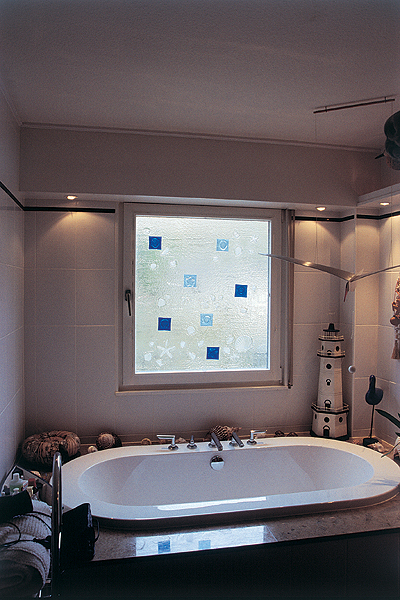 Instead of common ornamental glass, this bathroom window features an installed melted-glass pane (Fusing pane) with shaped mussels and sea stars.